So you have decided to get married. Congratulations! Planning a wedding can be stressful, which is why the honeymoon is so important. But it too can be nerve-racking to plan, as there are so many fabulous honeymoon destinations out there. The Maldives has always been a top choice for a honeymoon, what with its stunning beaches, private island resorts, and magnificent clear blue sea. It is considered to be one of the best honeymoon destinations in the world, and is right up there with places like Hawaii, Thailand, Bora Bora, and Bali. What puts many people off of the Maldives as a honeymoon destination is the price. Let’s face it, it is not exactly known to be budget-friendly, even though it is possible to have a cheap Maldives holiday. Still, there is a reason why Island magazine has voted it as one of the best places to travel in 2018, especially if you want to curl up with your new spouse under the stars, or on your private terrace that is set over the water. You don’t have to exhaust all of your resources to enjoy a Maldives honeymoon. You can enjoy it and spending time with the love of your life for a discounted price. 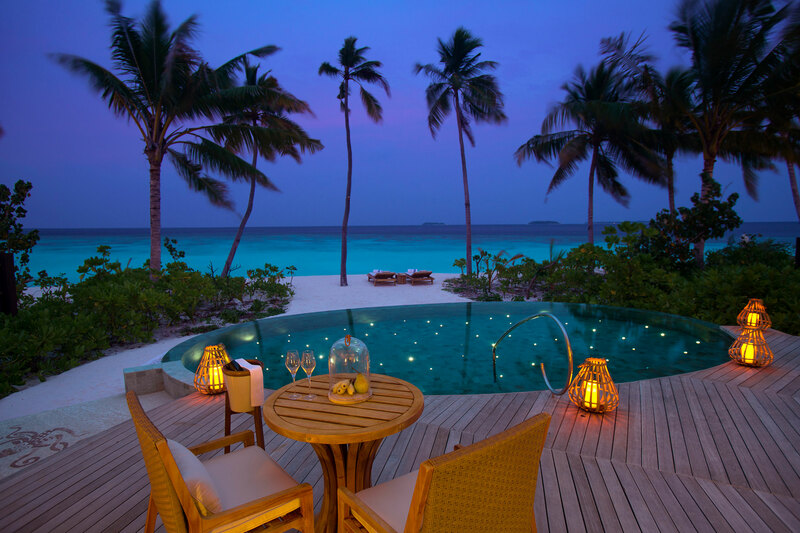 All you have to do is check out these tips for top Maldives Honeymoon Deals. Here are a few things to consider when planning your honeymoon in the Maldives. 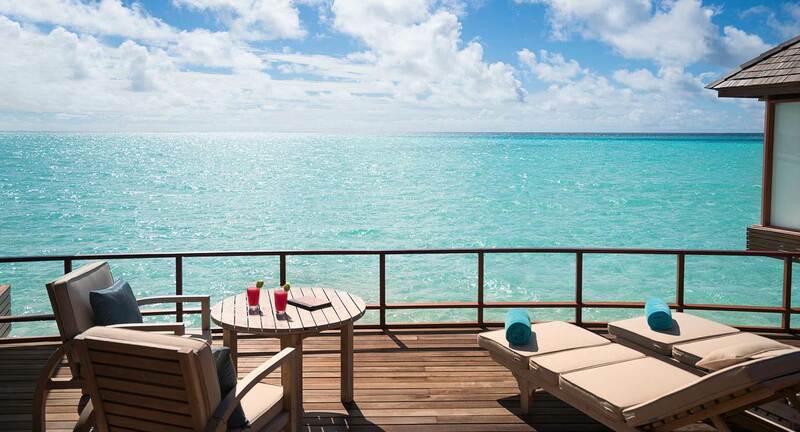 You can’t get more romantic than waking up to the sound of the ocean all around you. Wake up and open the curtains and enjoy panoramic views while you enjoy your morning coffee. You can also go outside to your private terrace and have coffee there, or take a dip in the water from your private ocean access. 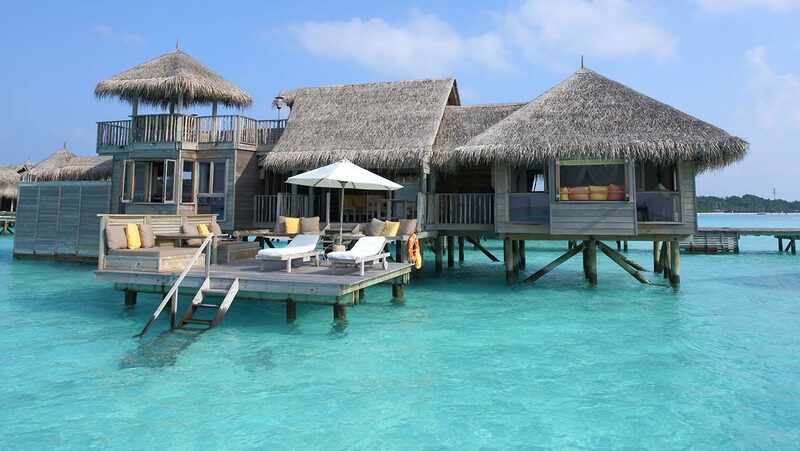 There are a plethora of overwater villas in the Maldives to choose from. These are the 5 best overwater villa resorts for honeymooners in the Maldives. The St. Regis Maldives Vommuli Resort offers three different overwater villas, but the ones that face west and allow honeymooners to experience the intense sunsets each and every evening are the best of the bunch. Imagine relaxing on your private terrace with a complimentary wine, or lounging in your private pool while staring out at the water and the chiffon-pink sunset beyond. You can even watch it from inside the villa, as the entire west facing wall is made up of glass sliding doors. These villas also boast hammocks that suspend over the water, butler service, a glass-enclosed rainforest shower and a luxurious king-size St. Regis Bed. Click here to make a reservation. The Telegraph chose the Baros Maldives as one of their top overwater villas in their list of the world’s 50 best honeymoon hotels and destinations and it is very easy to see why. They have 15 overwater villas with pools, and 15 without. Otherwise, there is no difference between these 30 villas that sit over the water along a crescent boardwalk, although some do offer spectacular views of the sunset above the lagoon. Honeymooners can enjoy a dedicated 24-hour villa host, a four-poster daybed on your private deck, and direct access into the water. They are the perfect place for an intimate honeymoon, with each deck being completely private and closed off from the rest of the world. To see more photos or make a reservation, click here. You can’t mention the possibility of having a honeymoon in the Maldives without mentioning COMO Cocoa Island Resort. This ultra-intimate resort has just 33 accommodation options, all of which sit right above the water. The one-bedroom villas are the top choice for honeymooners, what with their very own secluded jetty, balcony with a day bed, an outdoor shower, and an indoor sitting area. They also have a private terrace with loungers where you and the love of your life can relax and enjoy each other’s company, or go for a swim with your private water access. Click here for current deals on honeymoons at COMO Cocoa Island. 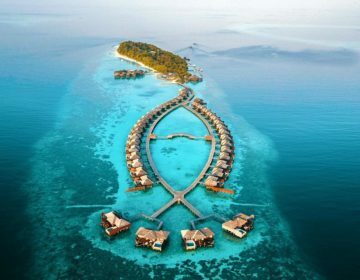 This award-winning hotel not only boasts some of the best diving in the entire archipelago, but it also has some fabulous overwater villas with direct access to the stunning reef. The Park Sunset Water Villa is the best choice for your honeymoon, offering the best seats in the resort for watching the spectacle of the beautiful sun going down into the sea. They also have a personal bar, an outdoor daybed, and a deck with sunbeds. Have a drink while watching the sunset from your private terrace, or enjoy a morning coffee while watching the marine life swim past your feet. Click here to book your honeymoon at Park Hyatt Maldives Hadahaa. 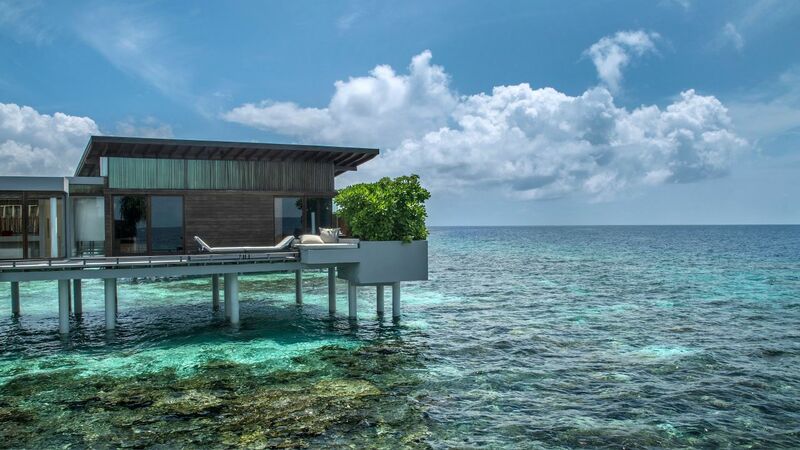 The newest of the bunch, the Kandima Maldives offers hip, modern overwater villas that boast a private deck complete with an outdoor deep soaking tub that boasts great views of the ocean. Or better yet, opt for a Honeymoon Aqua Pool Villa, which has its very own infinity pool! It is the perfect villa to hide away with the love of your life and enjoy a secluded swim. If you would rather take a dip in the ocean, there are steps leading right down to it from your private terrace. 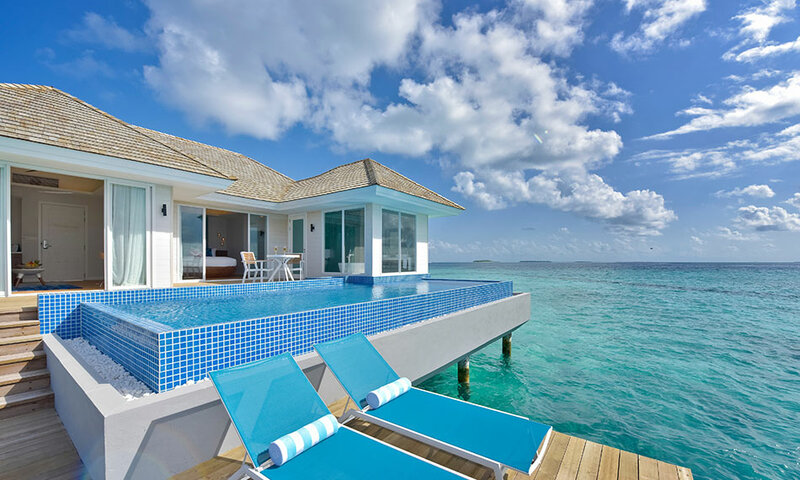 Click here for deals on villas at Kandima Maldives. Well you will need them for the flights, but otherwise you won’t need them while on Holidays in the Maldives. In fact, most resorts encourage their guests not to wear shoes, and enjoy the barefoot in paradise experience. What better way is there to gaze at the stars with your new spouse than by digging your bare toes into the sand? Most Maldives resorts offer meal plans, and these are a great way to not only save money, but also to enjoy a stress-free honeymoon. Half board or all inclusive plans means that you will never have to worry about paying a food or drink bill, as everything is included! This will just add to the whole honeymoon experience. No flight to the Maldives is direct, so why not make your stop-over an exciting one. Book yourself into a hotel in Dubai or Abu Dhabi, or plan a stop in Malaysia, Singapore or Thailand. There are so many options when travelling to the Maldives that can make your honeymoon that much more exciting. Although the peak honeymoon season is summertime, taking your honeymoon in an off-season will save you a great deal of money. Many of the most luxurious resorts will have huge discounts at these times, which at times can even be 50 percent lower than visiting during a peak season. Generally, if you want to snag the best Maldives honeymoon deals, travel in May or September. Flying to the Maldives doesn’t come cheap, but if you start looking ahead of time then it is very possible to snag some great deals. Check a few different flight booking sites and see who offers the best prices. 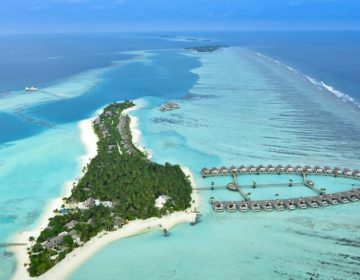 If you travel in the monsoon season you will be able to find a flight for less than $1,000, as well as getting great Maldives Honeymoon deals at resorts. As well, if you make a stop-over somewhere in Asia, like Malaysia, Thailand, or Singapore, you will be able to book a cheap flight to the Maldives with low cost carrier AirAsia. Searching for flights after midnight could also save you money, as many airlines reduce rates at times when there is slow internet traffic. Another way to get a great deal on Maldives flights is to fly on a weekday rather than a weekend. All this means is that instead of heading off on your romantic honeymoon the day after your wedding, enjoy a few days together at home or in a luxury hotel in your city, and jet off to the Maldives on a Monday, Tuesday, or Wednesday, when flights are less expensive. 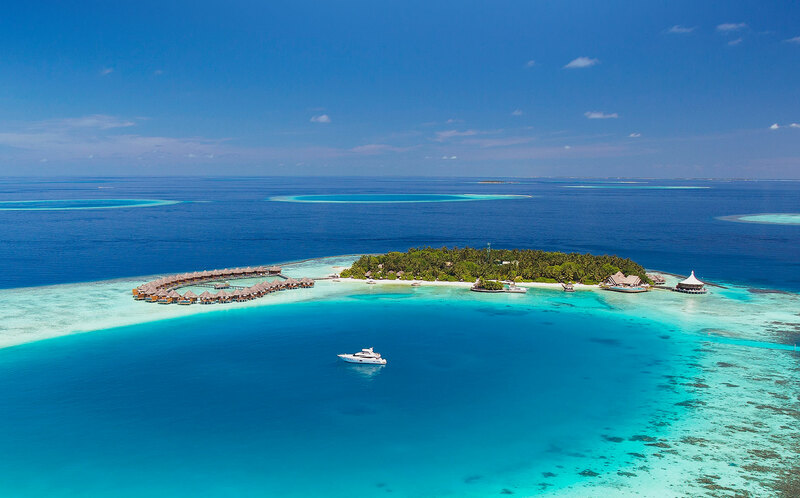 By booking a package honeymoon deal to the Maldives you could end up saving quite a bit of money, as they often include special perks like spa days, a private dinner in a secluded location and champagne. 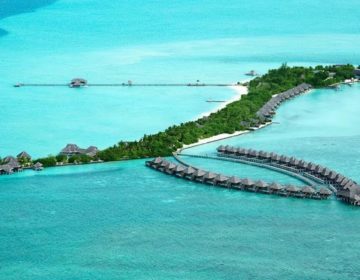 These resorts offer some of the best honeymoon packages, which means fantastic Maldives honeymoon deals. The honeymoon package at the elegant Anantara Dhigu includes return airport speedboat transfers, champagne and chocolates as soon as you arrive, a romantic Dining by Design dinner, and a 4pm check-out time. Plus, you will also get 10% off of any spa treatments that you receive while enjoying time with your new spouse, like the 195 minute Maldivian Romance package. Choose between a Sunrise Beach Villas or Sunrise Over Water Suites, and enjoy breakfast in bed while watching the stunning sun rise from the ocean into the clear blue sky. To book a villa at Anantara Dhigu click here. Have the perfect honeymoon by booking a package with Milaidhoo Island, which includes a 60-minute spa treatment for each of you, a romantic three-course candlelit dinner right on the deck of your villa, and a hot bath with flower petals, a bottle of champagne, and chocolates. The chef will even bake you a signature cake that you will be presented as soon as you arrive. If that’s not enough, the staff at Milaidhoo Island will name a star in the Maldivian sky after you, and will even copy write it. You will get a certificate with your star’s coordinates so you can look for it each and every night while on your Maldives honeymoon, and for the rest of your lives. To see more photos or make a reservation click here. Your honeymoon will be just as exceptional at the resort, with the honeymoon package designed to ensure that your honeymoon is a memorable one. Not only will you stay in one of the Six Senses Laamu’s luxurious villas, but you will also get a 60-minute couples massage, a Sunset and Dolphin cruise, and a private barbecue dinner on the beach! Plus, you will get breakfast daily, though the first morning that you rise you can enjoy a champagne breakfast in the comfort of your villa. You will also get a cake and a gift when you leave the resort to make it that much more unforgettable. Find current deals at Six Senses Laamu here. The essence of a honeymoon resort, the honeymoon package at the W Maldives has it all; an ‘Under the Stars’ private dinner for two, a 90 min couple spa treatment, a bottle of Champagne, and breakfast included every day. Spend time in your Fabulous Overwater Oasis that is perched above the crystal clear lagoon. Unwind on your private deck, curled up together on the circular daybed, which even has curtains that can be drawn. Grab a bottle of wine from your private wine fridge and gaze at the stars. The possibilities are endless at the W Maldives, with each day ending in the king-sized signature W bed. Click here to book your honeymoon at W Maldives. 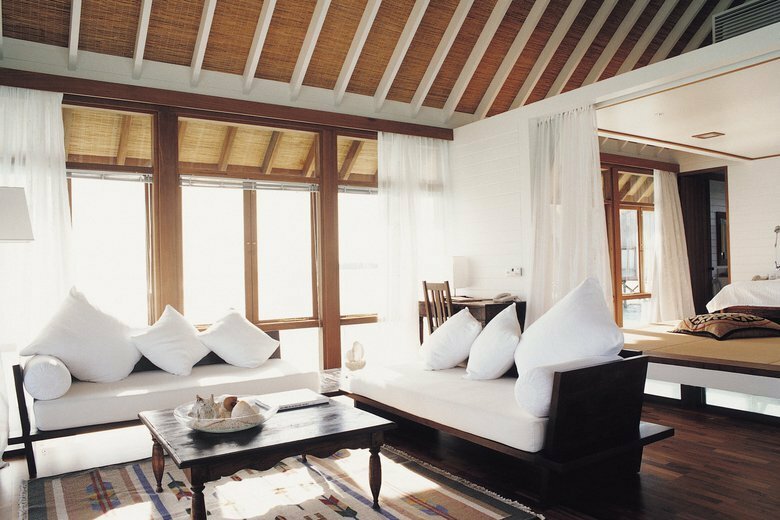 Enjoy the utmost of privacy while spending your honeymoon at the Gili Lankanfushi. Stay in a luxurious Gili Lagoon Villa or Villa Suite, both of which are set right over the water and are spread out over two floors. The main floor is where you will find the bedroom, bathroom, and living room, while the upper floor is a magnificent private rooftop terrace. Their honeymoon package includes speedboat transfers, daily romantic bed decoration, a 60 minute couple’s massage with 30 minutes romantic bath complete with Champagne and strawberries, and a dine under the stars dinner. Plus, you will get a welcome Couple’s Jet Lag Massage that you can use as soon as you arrive! Click here to book your Gili Lagoon Villa or Villa Suite today.